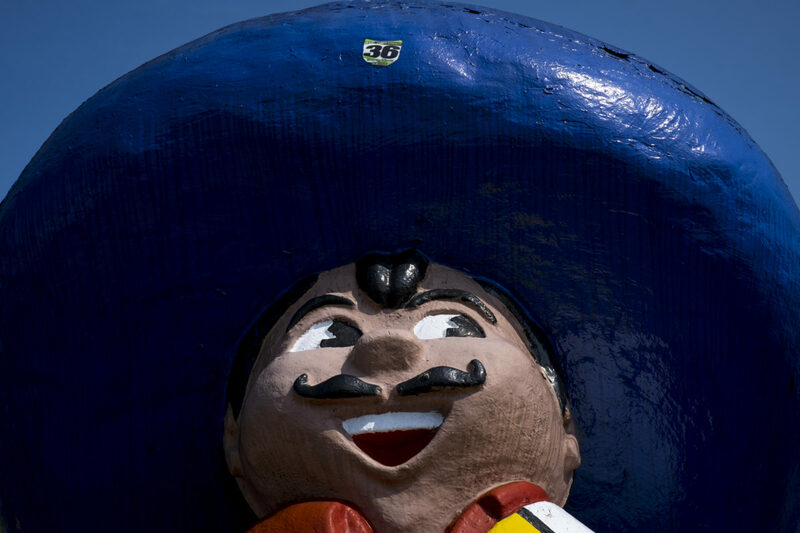 Pedro, a large statue in the likeness of a Mexican bandito, welcomes visitors to South of the Border. 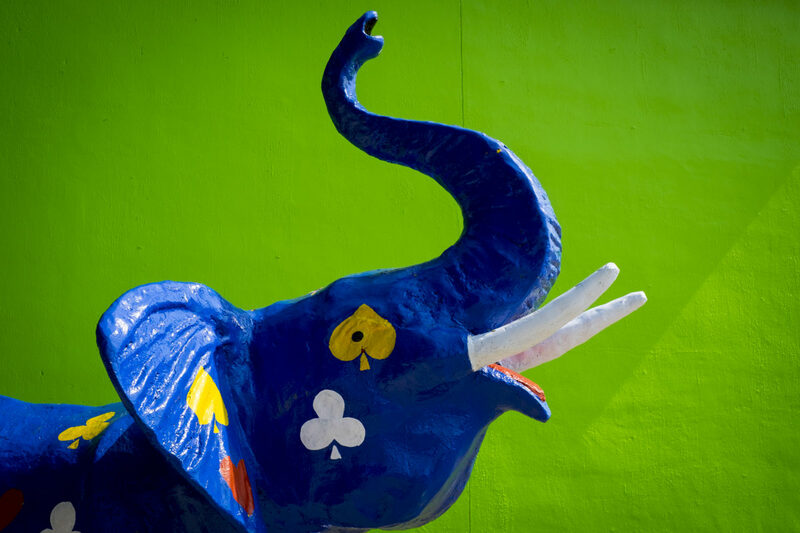 The rest area features restaurants, gas stations, a motel, a small amusement park, shopping and, famously, fireworks. 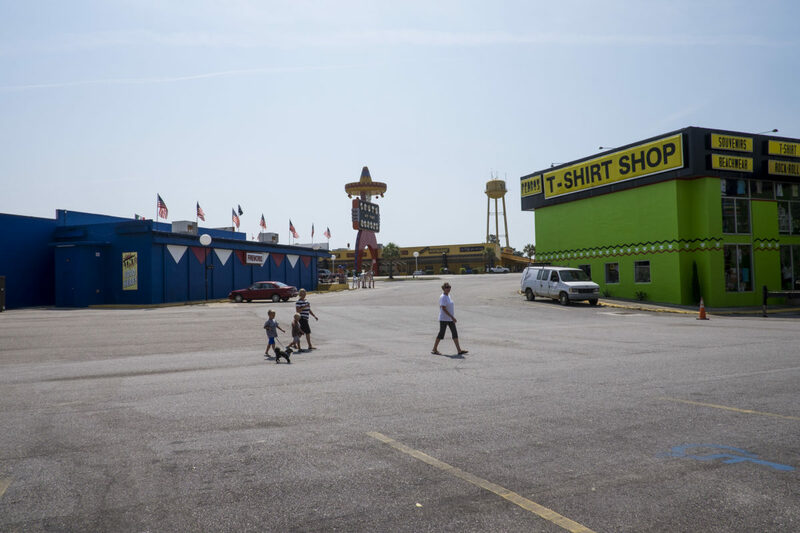 Patrons walk through South of the Border, a rest stop and roadside attraction on Interstate 95 and US Highway 301/501 between Dillon, South Carolina and Rowland, North Carolina. 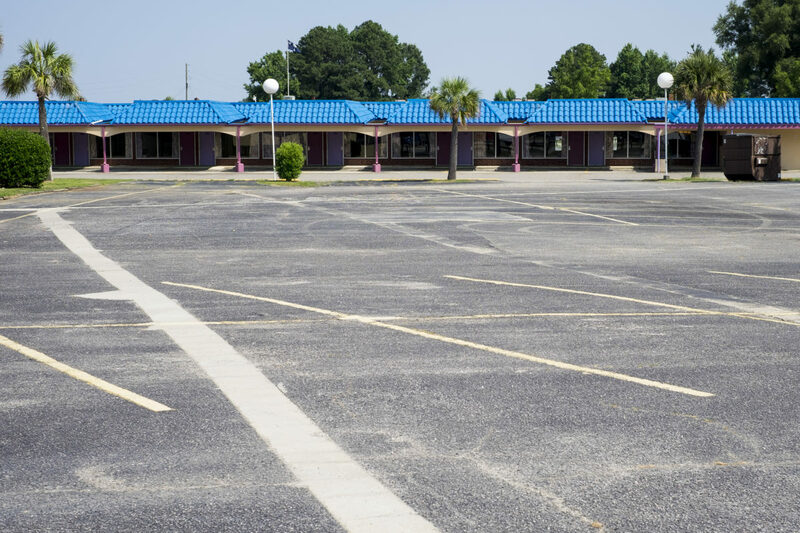 South of the Border has over 300 hotel rooms available for weary travelers. 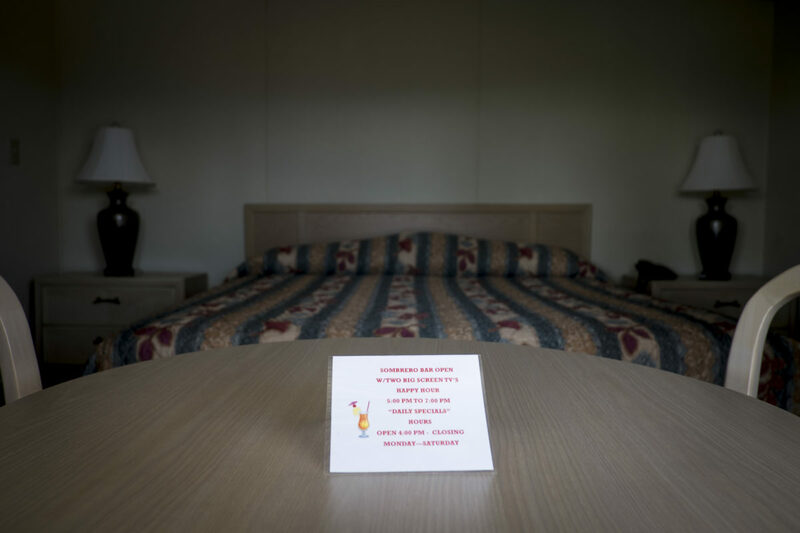 An empty hotel room waits for overnight guests at South of the Border. 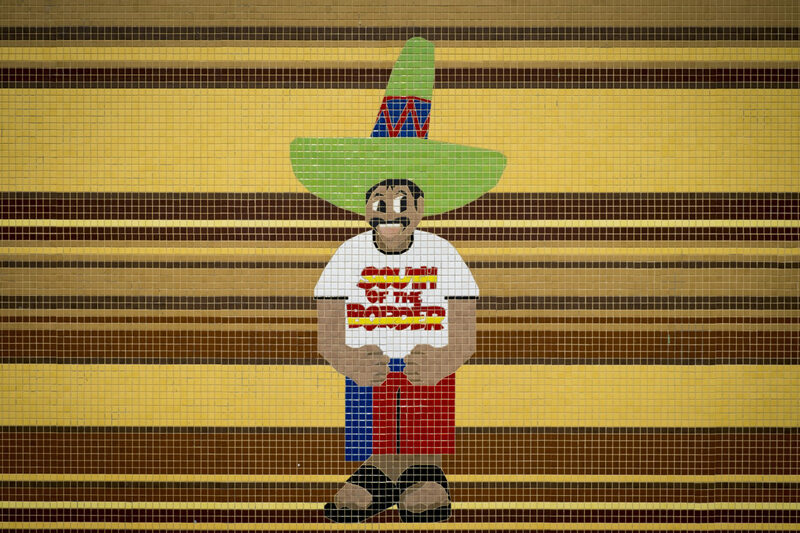 A mosaic of Pedro adorns one of the many souvenier shops at South of the Border. Coffee shop at South of the Border in Dillon, South Carolina. 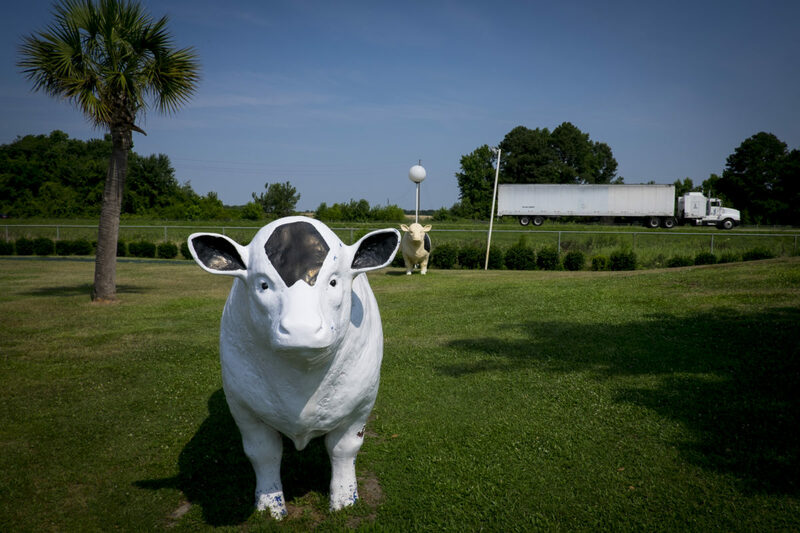 Animal sculptures abound at South of the Border, a rest stop and roadside attraction on Interstate 95 and US Highway 301/501 between Dillon, South Carolina and Rowland, North Carolina. 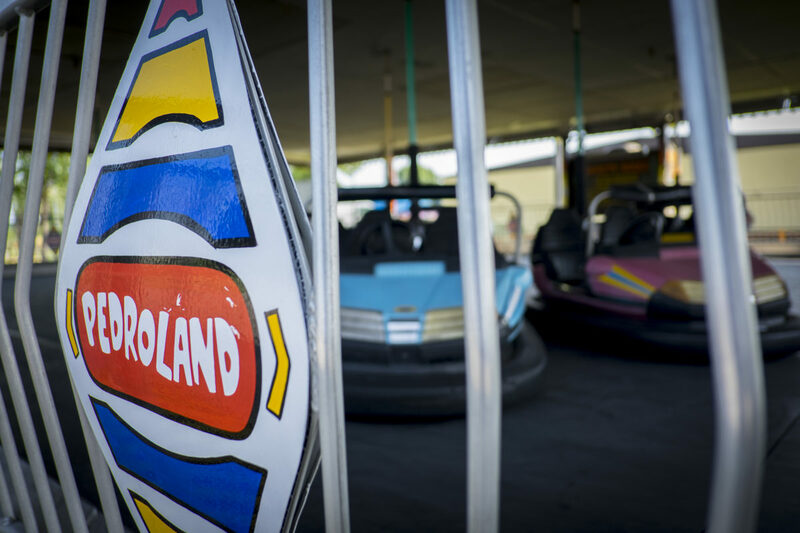 The bumper car attraction in the small amusement park at South of the Border. 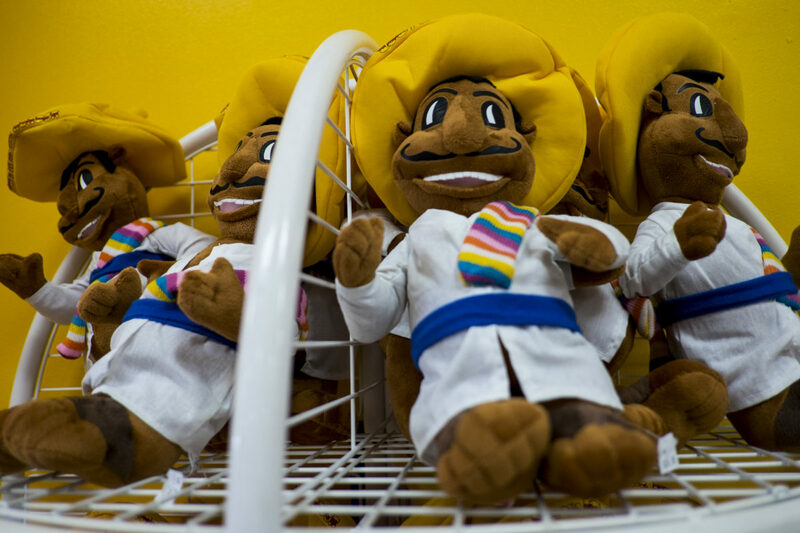 Could you leave South of the Border without a Pedro doll? 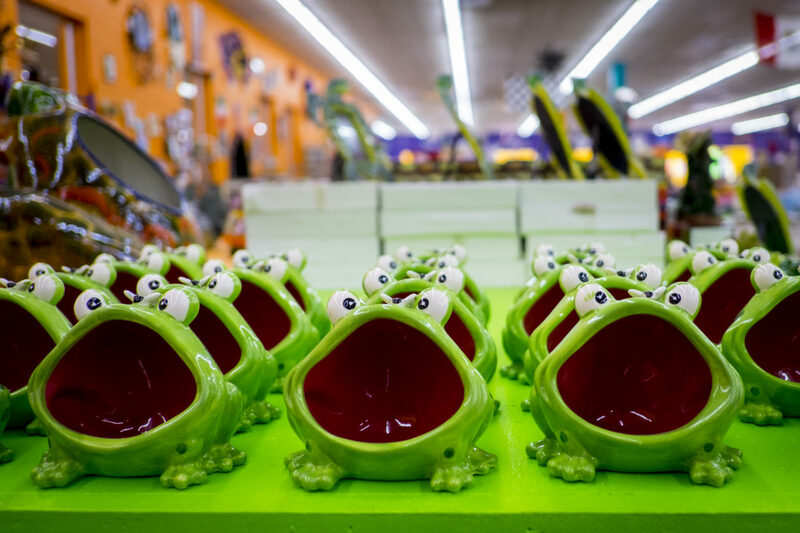 Toys and other kitsch for sale in the many gift shops at South of the Border. 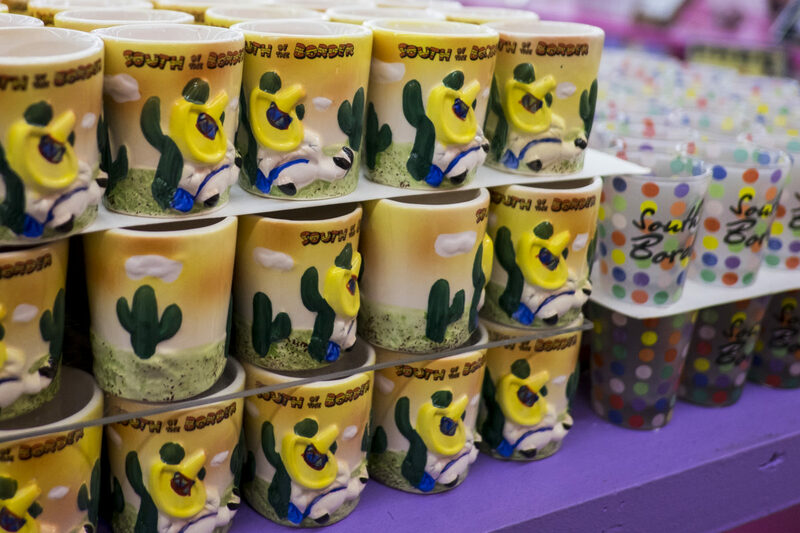 Pedro, the Mexican bandito is the mascot for South of the Border. The convention center at South of the Border does not seem to receive a lot of activity these days. At one time there was a small railroad the wound its way though South of the Border. 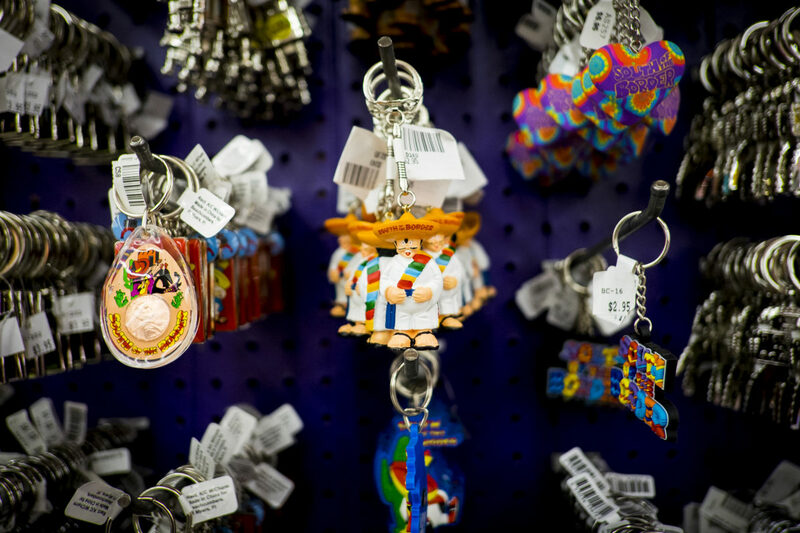 Tchotchkes for sale in the South of the Border souvenir shop. 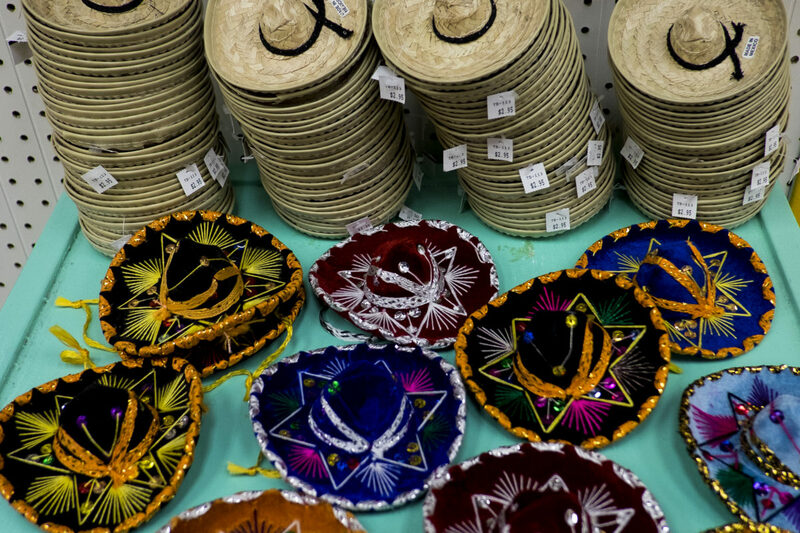 You can see the 200-foot-tall Sombrero Tower from over a mile away as you cross the border on interstate 95 from North Carolina into South Carolina, but billboards have been announcing its sighting from as far away as Virginia. 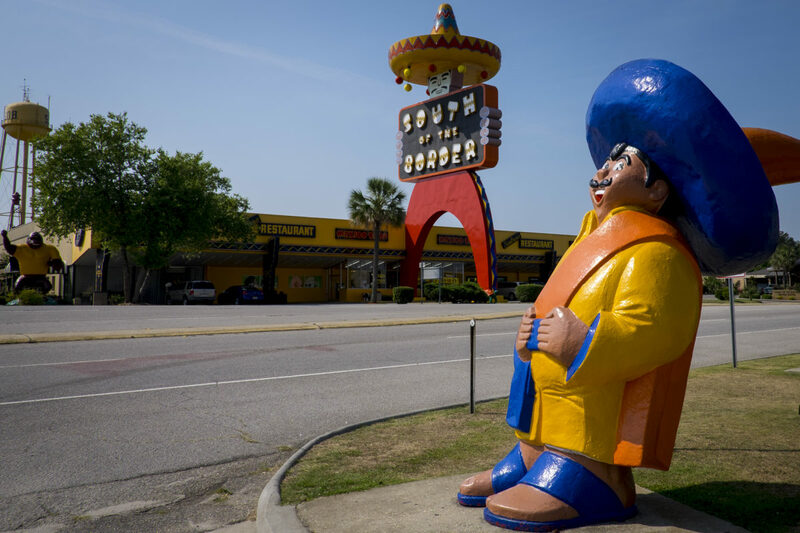 When you get closer you see Pedro, an almost 100-foot tall statue of a Mexican bandito and your host at South of the Border. 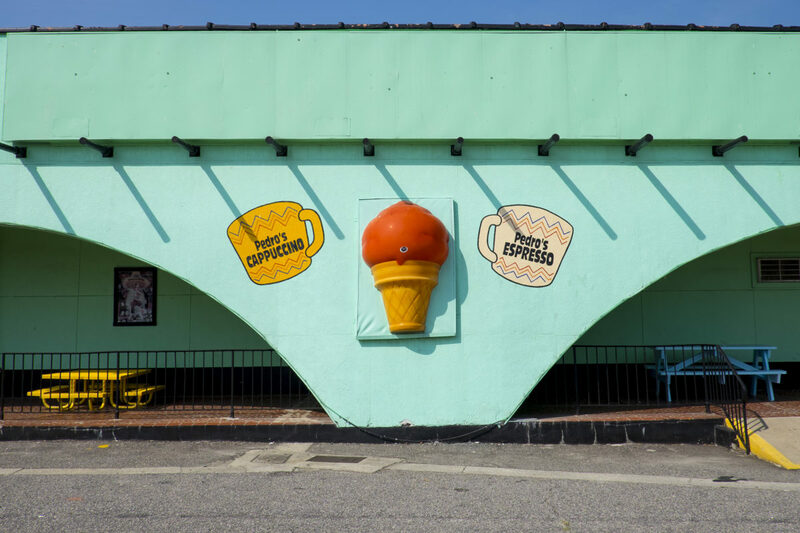 The rest stop and roadside attraction on Interstate 95 and US Highway 301/501 between Dillon, South Carolina and Rowland, North Carolina has been in operation since its beginnings as a beer store in 1949. Alan Schafer, owner of Schafer Distributing, built the store to serve the people just over the border in North Carolina where there were prohibitions on the sale of alcohol. The South of the Border Beer Depot, as it was named, grew with the addition of a motel and after a trip to Mexico, Schafer gave his alcohol oasis a Mexican theme. Schafer eventually expanded to include a 10-seat restaurant and 20-bedroom motel. 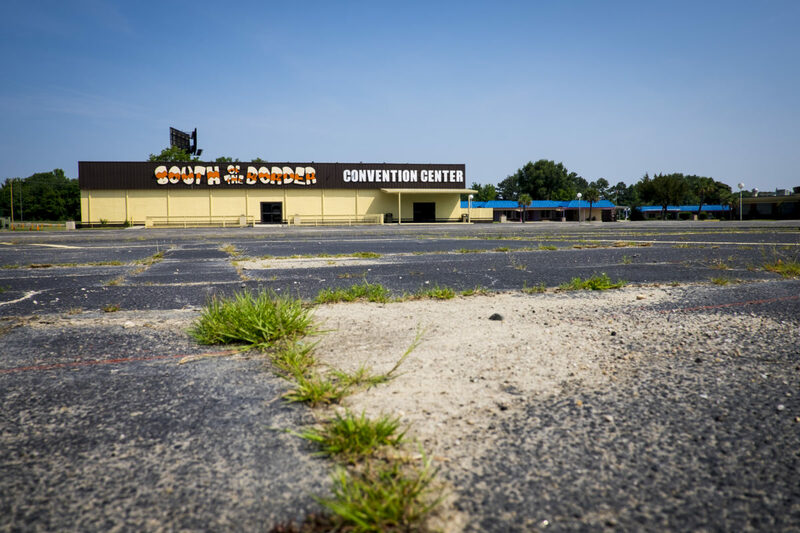 With the additions of stores, restaurants, a drugstore and a gas station, South of the Border had a footprint of over 300 acres. 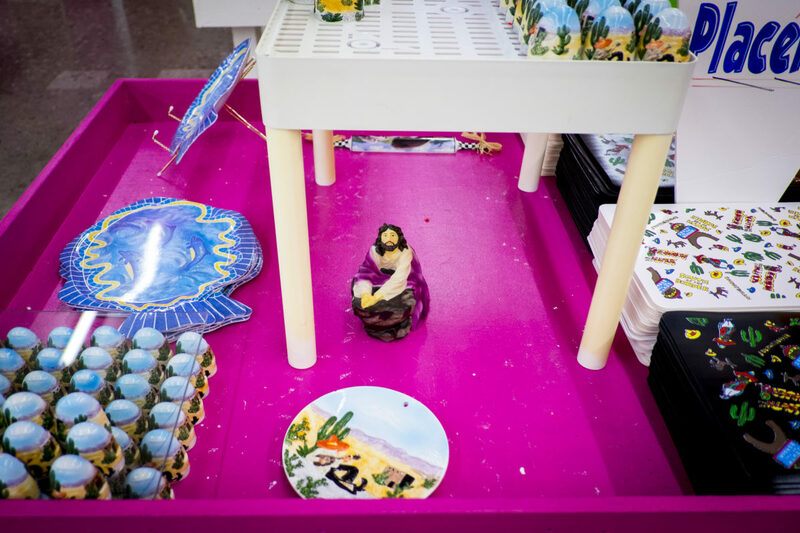 The stores are full of trinkets and thousands of kitsch items imported from Mexico. In 2010 the park opened its newest feature, the Reptile Lagoon, which claims to be the largest indoor reptile exhibit in the United States. As for those billboards along I-95, at one time, South of the Border boasted over 250, designed by Schafer himself, that stretched from Philadelphia to Daytona Beach, Florida. Today only about 175 remain from Virginia to Georgia. At one point the attraction had lost a bit of its heyday luster. The giant skyrocket from the Fort Pedro fireworks store sign was taken down. 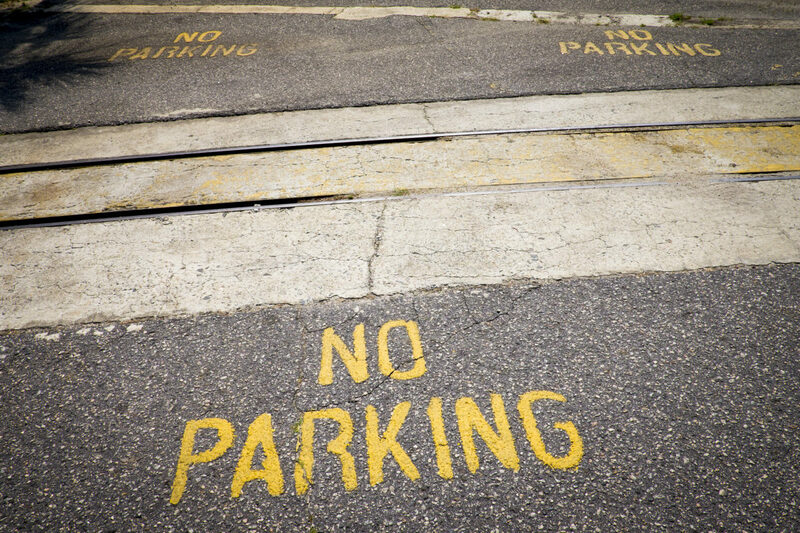 Employees are no longer called “pedro,” and the elevator to the top of the 30-year-old Sombrero Tower was usually closed for repairs. 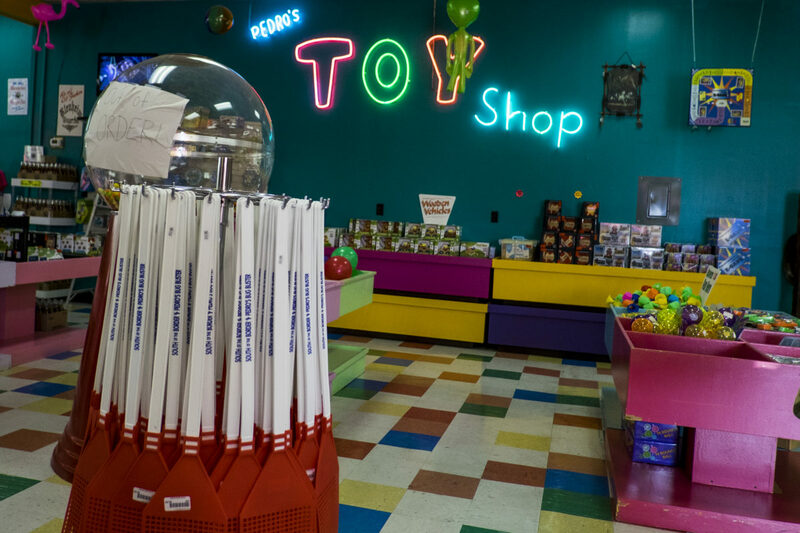 But after a recent multi-million dollar renovation project, the Schafer family is carrying on the family tradition of giving weary travelers a respite from the long hours of driving.